I just needed a break last weekend. So off I went to Puerto Princesa, Palawan. 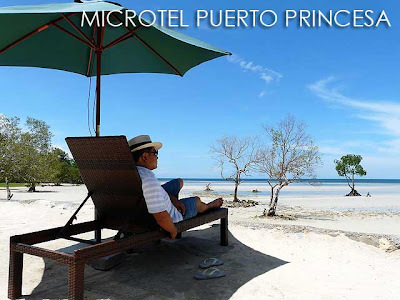 Having been to Puerto Princesa previously, I decided to forgo the tours: Puerto Princesa city tour, Puerto Princesa Underground River tour and Honda Bay island hopping, and decided to use my time instead to relax at Microtel Puerto Princesa. Although there are two tours I have not tried: Dos Palmas and dolphin watching which is seasonal, which I will reserve for another trip. 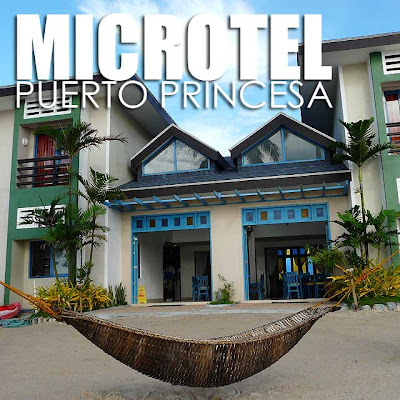 Microtel Puerto Princesa just opened last year. Its beach front location is quite secluded and very cozy. But the downside of being secluded is that the hotel is a bit far from the city proper. But they have scheduled lunch and dinner shuttle services to and from the city proper as well as the airport. I took both their lunch and dinner shuttles to the city proper to try out the different restaurants in the city. Unfortunately, if you want to venture out on your own, tricycles charge between Php150 to 200 one-way to get to and from Microtel. But no need to worry about the tours I mentioned above since Microtel can book all these tours for you and the tour vans pick you up right at the hotel. So it's very convenient. Those who who want a quiet place with a beach front to relax in Puerto Princesa will enjoy a stay at Microtel. The view is picturesque. And I must admit I spent some time just sitting in the lounge chairs or the hammock for a quiet afternoon nap. The only downside is that the water is too shallow for a swim. 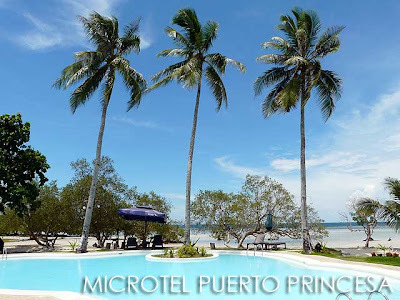 So most of the swimming is done in the pool conveniently located beside the beach. 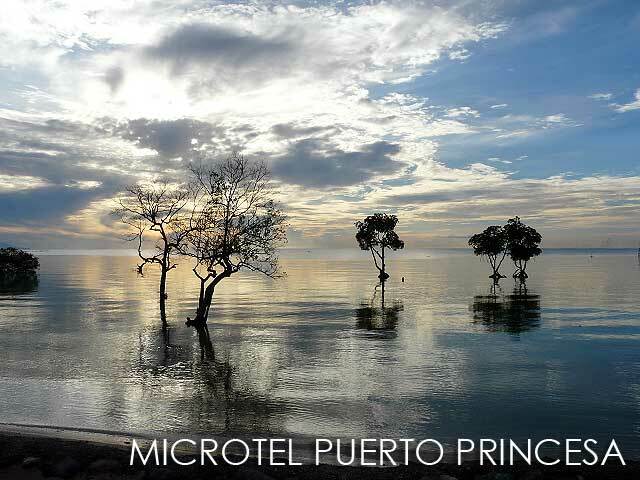 I always look forward to stays in Microtel because of their chiropractic-approved beds which are exclusively made for the hotel chain worldwide. So any Microtel will have the same kind of bed and pillows. There's free WiFi Internet in the lobby and paid WiFi/LAN connections in the rooms. Ask them for ongoing promos. 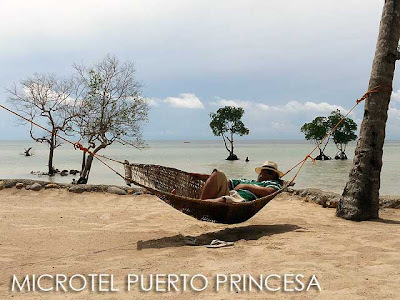 Right now, they have a Php5,860 per person 3D 2N package (based on quadruple sharing) which includes daily breakfast, the city tour, Honda Bay and Underground River tours, and a one-hour massage. It's almost all-in except for the two dinners. But given that three tours are included, that's a total bargain! Yes, let's organize something! Dali! Ikaw yung travel agent. Haha! As always expected from Microtel Hotels, they always give good service to customers and even greets you with a smile. One reason why I always prefer to stay in their hotels in Palawan, Boracay and Baguio.